This year I will not compare 2 different conferences, since they are prepared for very different audience. But I will go through my observations and point out, what improvements I have seen. Last year participants were complaining, that there was no CTF competition. Organizers seemingly took this complaint very seriously and this year team from Viris prepared amazing game. I was personally not taking part, but was observing very closely, what different teams were doing. I have noticed already at very beginning, before I actually registered, that there is something going on. There were QR codes to be seen everywhere and they were actually very important. QR codes, when combined, were offering first clue for Wifi access. I have also noticed, that organizers were carefully observing all “hacking” teams, their progress and were carefully giving additional clues throughout whole day. If you were careful enough, you could see several teams at once heavily engaged in hushed conversation and staring into each others laptop and showing some new finding. Sometimes it even happened, that conversation was carried away and team members did not notice, that presentation just started in the same room. Whole game took about 5 hours and thanks to organizers, there was only one small glitch. One team managed to disable one video camera with DDoS-ing it, though it was not meant to be so. It took took organizers less than 5 minutes to recover! There is one more thing, that speaks how good the game was organized… Despite many competing teams and very professional competitors with many year of experience, no team was able to capture the last flag! I can only congratulate CTF organizing team for this! All respects. 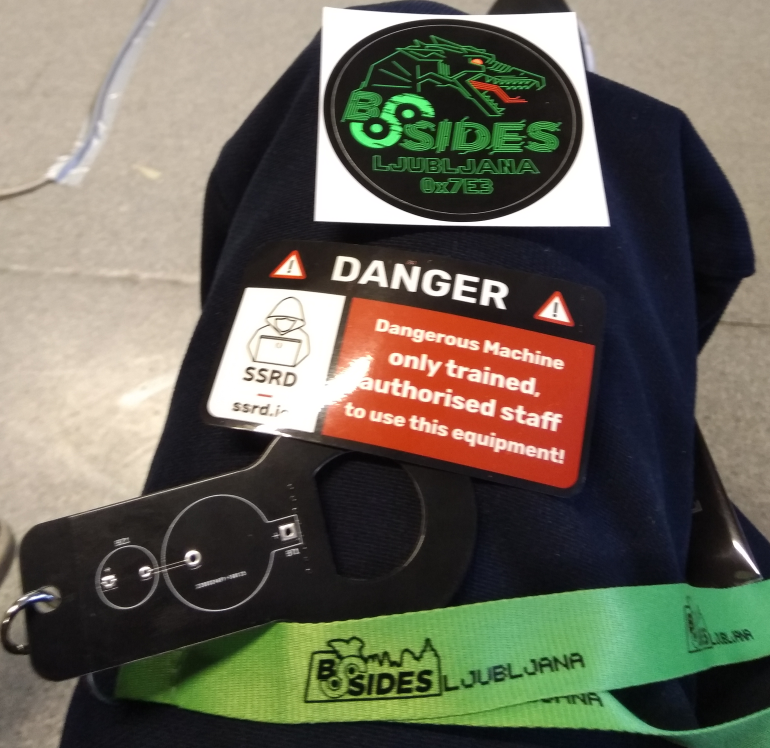 I mentioned, that above all, Bsides can be praised and welcomed for the knowledge and experiences of presenters, who are delivering very high quality of presentations. I could not hope, that this year it could be even better. It was. This year percentage of mediocre presentations was very near zero and all the rest very of the prime quality. I did not talk much last year about the quality of the food at Bsides, but organizers must have really read our anonymous evaluations and have done extra mile there as well. This year lunch came in 2 waves, what was very welcome, since it meant that we had all the time fresh and warm food. They also took extra care for dietary preferences and specialties of some participants. You can always expect vegetarian food nowadays, but gluten-free food is not that obvious. I am very glad, that I came back to Bsides this year. 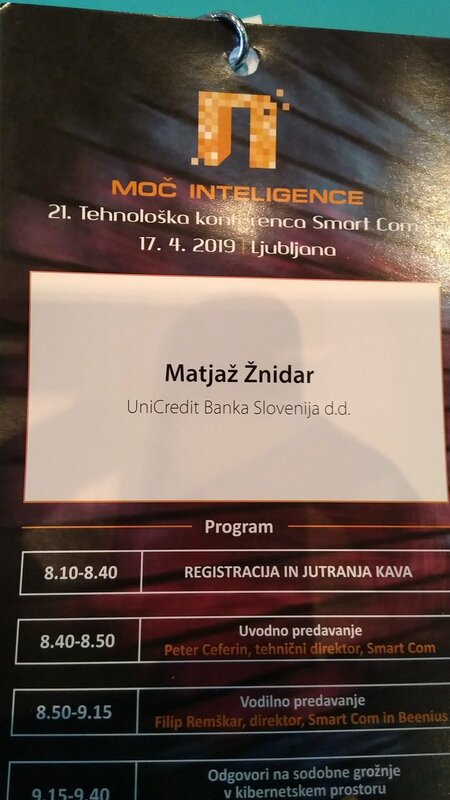 Thanks to my colleague (who got me a ticket when I was out of the country), I was again surprised how much you can learn in just one day of being part of great community. I suggest you to keep an eye for tweeter announcements and take care that you are one of 200 participants, who are lucky enough to get tickets. Previous Previous post: How secure is secure enough?